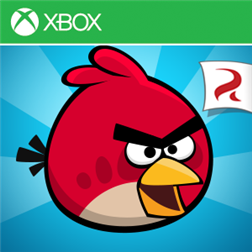 Most Angry Birds games on Windows Phone were updated by Rovio to add levels to the games. Angry Birds Originals: Get ready for 30 extra levels in the new Short Fuse episode – all set in a piggy laboratory with wacky scientists and crazy potions! Angry Birds Seasons: Pack your bags for an Arctic Eggspedition with 25 festive, frosty, and fun-filled levels! Plus 4 bonus levels! Angry Birds Star Wars: Join the final battle against the Pig Empire in the exciting conclusion to Angry Birds Star Wars! Play 30 NEW levels and enter the Death Star for an epic showdown with Lard Vader and the Emperor! Angry Birds Star Wars II: Continue the fight against the Bird or Pork Side in the latest Battle of Naboo chapter with 44 new levels and 3 new free characters! Written by: Hyde13 on December 23, 2013.